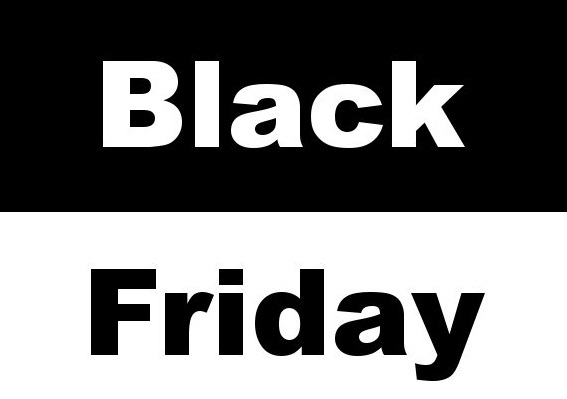 Black Friday is just around the corner and most consumers are beyond excited to be able to get a hold of unique discounts and perhaps score some expensive items in a really good deal. Discounts might sound extremely appealing when you are not swimming in cash, but it is especially when you are in a financially precarious position that you should be extra careful with how you spend your money. Here is how to make the most of Black Friday and Cyber Monday. We all know that Black Friday can get a bit too hectic and you might lose your cool when you suddenly stumble across an offer that is simply too good to say no to. This is why it is extremely important to plan your shopping day ahead. What are you looking for? There might be an item, like a computer or a new pair of jeans that you had been eyeing for quite some time – now is your chance to try and get it. Or you might have a few things in mind, in which case it is important to set priorities on what you will look for first. In any case, it is crucial to set a budget that reflects your needs and abilities, and not exceed it. You could for instance plan that you will spend south of $1,000 altogether, with half of that going to tech-related purchases. If you decide to shop in store, make a list of the stores that carry the products you are interested in and decide on the optimal time slot. In 2017, 21% of Americans opted to shop early in the morning between 5 am and 8 am, while 13% took to the stores between 11 am and 12 pm and 8% went shopping between 1 pm and 3 pm. In general, early hours are a guaranteed mayhem, but arriving later means that what you were looking for might be gone already – so take your pick. Many consumers choose to shop online, and this includes Black Friday and holidays through December. In 2017, over $106 billion was spent online from November to December, up from $91.2 billion in 2016 – and in 2018 the figure is projected to reach $123.4 billion. Shopping online is convenient and fun, but you also need to be smart as cybercriminals are out and about looking for victims driven by the sales frenzy. If you come across an online offer that seems too good to be true – yes, even by Black Friday standards – always double-check on a trusted website. It is advisable to sign up for newsletters and mailing lists that offer secret or members-only deals from popular retailers. Yet if you receive an unsolicited email or a suspiciously written message urging you to click on a link, beware. You might be the target of a spear phishing attack, where a malicious perpetrator disguises as a trusted company to get you to click on a link that might lead you to inadvertently disclose sensitive information or install malware. Always look for red flags like typos or unusual email sender address and never click directly on links in unsolicited emails – instead, look for that company on Google and go through what you know is the legitimate website. Armed with a bit of vigilance, common sense, and some planning ahead, you can make the most of Black Friday and Cyber Monday instead of ending up spending money you cannot afford or getting duped out of your hard-earned cash by hackers.